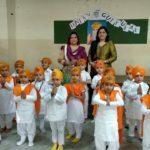 Guru Nanak Jayanti was celebrated at St. Soldier Mohali with great enthusiasm. 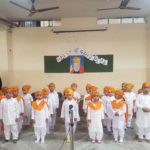 In the morning assembly toddlers of Nursery C under the guidance of their class teacher Ms Indu Maria enlightened the students about the birth, birthplace and teachings of Guru Nanak Dev ji ,who is the founder of Sikhism and the first guru of Sikhs. 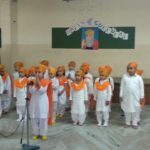 They sang two beautiful Shabads in praise of the great Guru.